ATC Semitec stock Campini air and surface-sensing adjustable thermostats which are widely used throughout the heating and domestic appliance industry. A Campini thermostat’s large bimetal blade ensures excellent repeatability and minimum differential (hysteresis), thus ensuring reliable and accurate temperature control. There are air-sensing thermostats (TY53) where the I²R effects of through current are negligible and also anticipatory designs (TY35-P) where current flowing through the bimetal blade helps trick the thermostat into switching “early”, thus improving the temperature control function. 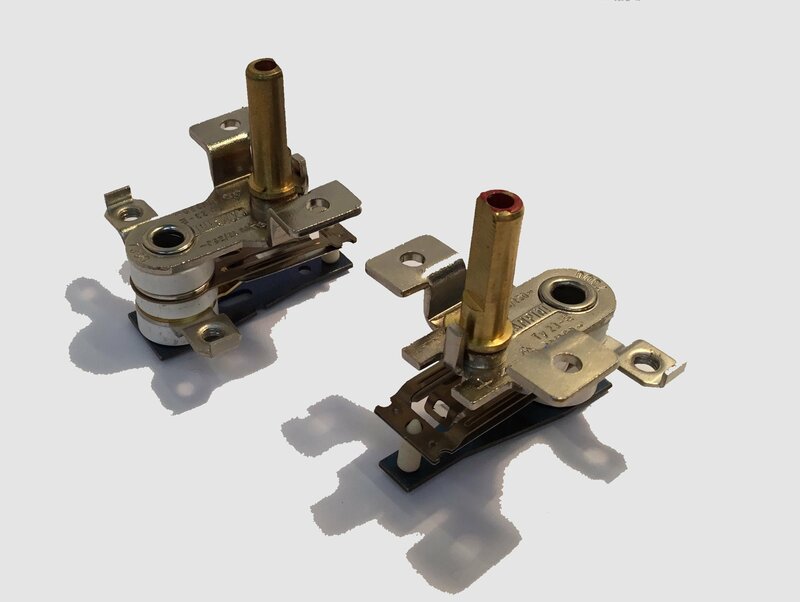 These adjustable thermostats are capable of switching over 100k cycles with a current rating of 16A/250VAC, so loads of up to 4kW can be readily controlled. With an angular spindle rotation of 300 degrees, you can accurately set the temperature to the desired control level from 6°C to 70°C. Differentials between 1K~3K can be achieved and versions with anticipatory resistors can improve this further. These variable thermostats can also be set down at their minimum setting (6°C±4K) to act as frost protection or anti-condensation controls. Surface-sensing thermostats (TY23) offer reliable and adjustable temperature control from 0~260°C with loads up to 10A/250VAC. Various spindle and mounting options means they can be adapted to suit the space available in your application. Suitable for small appliances and electric heating controls. Adjustable air-sensing thermostats for use within radiators, convector heaters and other applications up to 16A/250VAC or wherever air temperature is to be controlled. Four ranges from 6~35°C, 6~45°C, 6~55°C and 6~70°C are available with different spindle and terminal options to help optimise the appliance control design. Snap action control. Air-sensing adjustable bimetal thermostats with anticipatory control function for fan-heaters and convector heaters up to 16A/250VAC. Temperature ranges 6~45°C and 6~60°C are available with different spindle and terminal options to match your heater design. Snap action control. 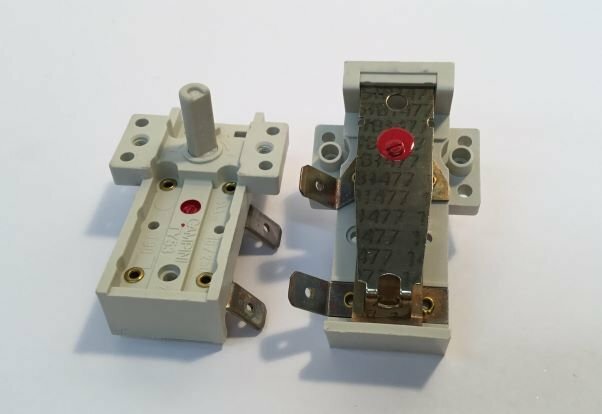 Adjustable skeletal/stack thermostats for surface temperature-sensing applications up to 10A/250VAC. Maximum temperature range 0~260°C or others available on request. Different spindle options (including screw-driver slotted) and terminal types available to suit your design. Typical applications include electrical appliances, ovens, steam irons etc.